One in eight babies in Israel is born prematurely and needs intensive care. Maayenei HaYeshuah Hospital saves two 23-week babies. 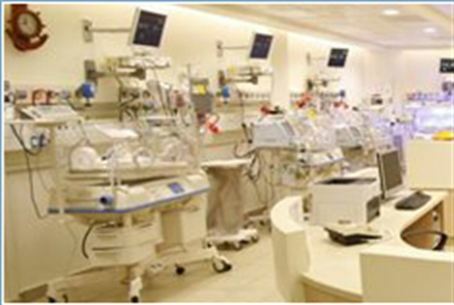 The Maayanei HaYeshuah Medical Center in Bnei Brak announces that in recent months, its Neonatal Intensive Care Unit has treated two babies who were born in their 23rd week of gestation, one of which weighed just 615g (1.35lbs). After four months of careful treatment and feeding, both babies were pronounced healthy and discharged home with their grateful parents. One in eight babies in Israel is born prematurely and needs intensive care, the hospital announced today, with 1 in 100 babies weighing less than 1.5 kilos (3.3lbs). At the Maayanei HaYeshua Medical Center (MYMC), where 35 babies are born every day, the smallest sometimes weigh as little as 450g, or one lb. MYMC will host an international medical conference on the newest methods for minimizing pain and promoting the development of neonates in May 2011. MYMC has adopted the latest NIDCAP (Newborn Individualized Developmental Care and Assessment Program) system for treating preemies, which is based on research into the long-term health and development of children up to age 10 who were born prematurely. “We are seeing an increase in the number of multiple babies conceived through in-vitro fertilization," says Dr. Daniel Lubin, MYMC Director of NeoNatal Care, "and this is contributing to the rising number of small and premature babies being born in our hospitals." Unlike any other country in the world, Israel’s healthcare providers provide treatment free of charge for up to two children for any couple experiencing fertility problems. Last year 11 sets of twins were born at MYMC during one week, including four sets born in one hour on the same night! All were cared for in the NeoNatal Department until their healthy discharge. Two months ago, a Health Ministry panel found that due to the increase in premature births, Israel's hospital neonatal wards are short of dozens of doctors, hundreds of nurses and 240 beds. The committee recommended adding 89 doctors and hundreds of nurses to the wards, as well as other improvements - measures that could cost tens of millions of shekels a year for several years.